This can not only damage the hair follicle, which can slow down and even cease production of hair – so ultimately the falsies you are placing on your lashes may be decreasing your lashes altogether. This then begins a cycle of women who feel the need to continue applying falsies to bulk up their lashes as their real lashes continue to deplete. Another risk that was pointed out by the new report are reactions to the formaldehyde in the glue used for the extensions, which is a common allergy. Even if you’re not allergic, bacteria can be trapped by the false lashes which can lead to conjunctivitis or keratitis. Plus, Allure also noted that there is another anecdote that could scare you off from using falsies altogether if the above hasn’t yet. And just so you know, it isn’t pretty, so read on carefully if you have a weak stomach. A eyelash extension addict had one of her falsies fall out and get stuck in her eye, and after a few weeks of flushing and rubbing it to try to get it out, she went to her ophthalmologist to discover that it had actually gotten embedded in her eye and the white of her eye was growing over the lash. Her doctor then had to cut out the lash with a needle! Basically, we’re sticking to our mascaras from here on out and keeping our eyes healthy and happy. 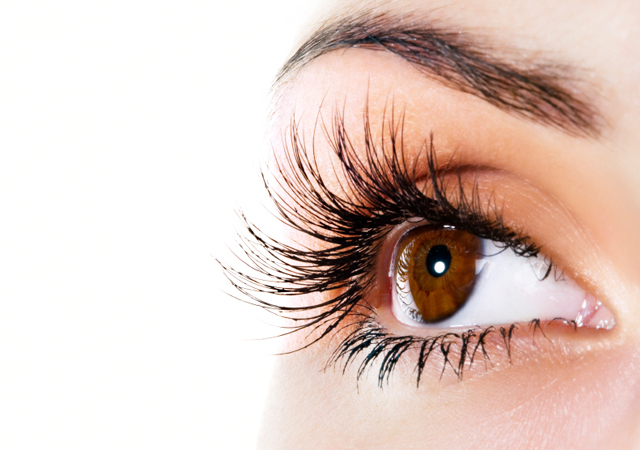 Mink Lash Extensions: Are They Worth the Fuss?